Living away from friends and family in a foreign land always makes you miss them. When they are not around you, you always want to stay in constant touch with them and share everything you do and happen, to you, after all you are in an alien land. Hence, you are always on the lookout for a way that will never leave you stranded while during your travel to any foreign country. While you have a number of options to choose from when it comes to finding an ideal world travel prepaid SIM card, by comparing roaming prices and set of features of Pix world travel prepaid SIM card with many other SIM cards, you will find the former performing best on many fronts such as wireless freedom and mobile connectivity. Being teamed up with over 150 global network operators, Pix world travel prepaid SIM card allows you to call and surf at the lowest roaming charges in over 193 countries and 200 plus cruise ships. 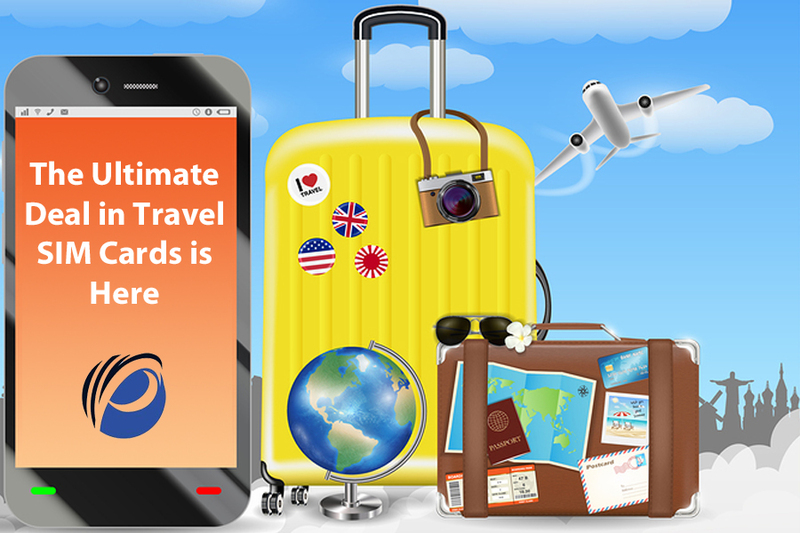 Using the world travel SIM, you can also earn rewards as per the coverage of your miles. The simple algorithm of this award program is that the more miles you will be covering the more rewards you will be earning and enjoying. Furthermore, since this is a prepaid SIM by nature, you can have full control over risks and costs. That apart, when you choose to go with this world travel SIM, neither need you to sign any contract, ties, and pay any additional hidden charges and more. Being strengthened by America’s largest 4G LTE networks, it can cover the entire America. Thus, when you start using this world travel prepaid SIM card in your phone, it saves you up to 85% on roaming. How to activate this SIM card on your phone? 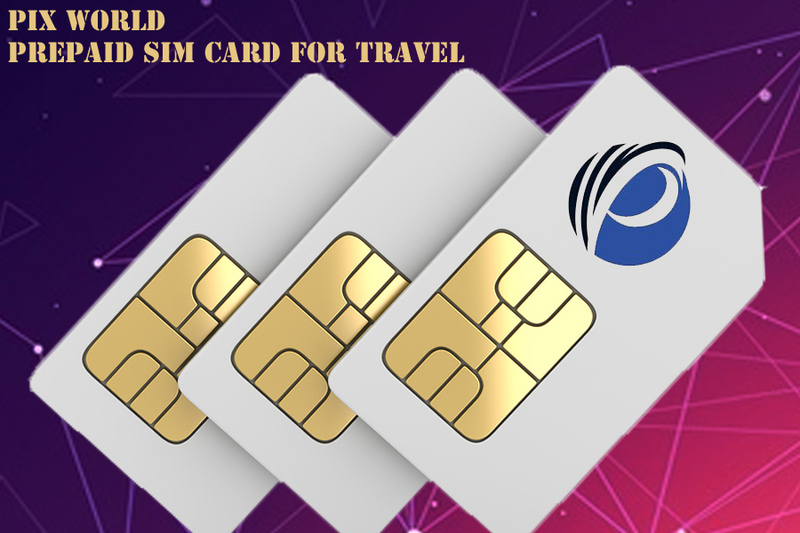 If you are looking to buy this world travel SIM card and want to activate it on your device(s), simply bring your own unlocked device(s) (smartphone and/or tablet) to Pix World. Once you have successfully completed through this process, a confirmation SMS notification will be sent to inform you about the successful activation of your devices. So, if you never wish to stay disconnected from your dear peeps during your traveling or staying in a foreign country, or the exorbitant roaming charges are stopping you to leave for foreign trip, look no beyond but to resort to Pix’s World Travel Prepaid SIM Card to unlock the unlimited horizon of talking, texting, and roaming. Travelling overseas is fun as long as you are traveling with an ideal world travel SIM. But it starts irritating when pay a lot of dime just to talk and text a few words to your near and dear ones! You fret, repent and even scratch your head when you discover that your existing mobile carrier deducted a lot of money and sent you a hefty bill just to send a few words message. Situation becomes even worst when there is a sudden and frequent call drop while talking. How stupid, you utter! You tight fist, growl and even try to control yourself, but can do nothing but to promise to yourself that you won’t any longer use the SIM of your this mobile operator. You are off to your second trip to abroad, but this time you don’t want to be fretted and irritated by the type of mobile operators that left you head-scratching and grinding. You search around and find out an ideal world SIM card from mobile operator like Pix World! Yes, welcome to the world of Pix World, one of the leading mobile operators facilitating fuss-free mobile connectivity within a friction of calls and messages rates. 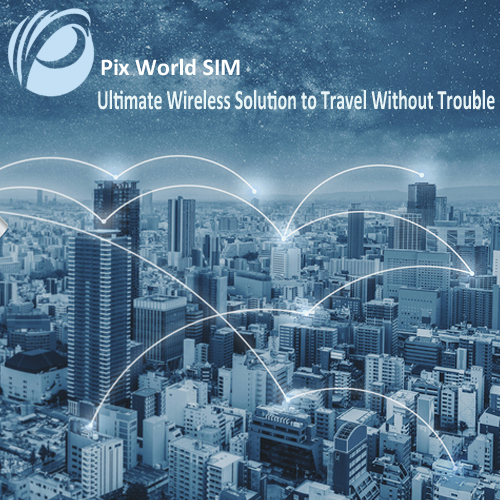 When you buy Pix World SIM Card and insert it into your own qualified unlocked devices (smartphone or tablet), you can be rest assured of hassle-free mobile connectivity, and get rid of the problems such as frequent breakdowns, constant disconnection, and abrupt call drops while talking and texting and high roaming charges. Yes, you truly obtained what you expected to experience from your existing mobile carrier. So, Pix World SIM Card starts right from where other mobile carriers start gasping! Pix World isn’t famous for anything rather it today has an established network of more than 150 global telecom operators. These mobile operators work on hi-speed 3G & 4G networks. This means that when you have this SIM Card in your phone, it instantly connects you to the network of mobile operators. Now when your unlocked device will be connected to Pix World, there is almost nil chance of call drops or undelivered messages, thanks to its collaboration with robust networks. So, you enjoy a sensational mobile coverage, and stay connected to all your peeps in more than 193 countries and over 200 cruise ships. Overall, there is the least chance of disconnection when you travel abroad by carrying the Pix’s world SIM card in your device. In addition to goodies, Pix World SIM Card also wows you with its roaming charges, i.e. ; you save more than 120 percent of roaming charges when you connect to it. In all, Pix World is your dream mobile operator, allowing you to enjoy peerless mobile connectivity within a fraction of call rates. So, enjoy talking to all your folks without fretting any more when you are off to your next trip abroad! Global roaming is difficult to manage. And if you’re unprepared to handle it, then this roaming format can cost a bomb for sure. So, common prudence dictates that you need to plan beforehand when it comes to managing global roaming like a pro international traveler. But planning or managing global roaming is tough alright—you just can’t expect to do it if you don’t have the support of the best SIM card for travel. Now, when the talk is about finding the best SIM card for travelers, it’s definitely about Pix World. Every international SIM card should deliver world-class coverage at rates that don’t cost the world. But, seldom, will you find such a SIM card. Either it’ll be superior coverage at eye-popping price points or it’ll be patchy coverage at affordable price points. So, the fact of the matter is that it’s very difficult to get the best of both worlds. That is to say, it’s challenging to get class-leading coverage at attractive price points. However, if you lay your hands on the wireless solutions delivered by Pix World, things will get better. No doubt. So, the two factors that make Pix World an awesome global wireless service provider are as follows. Pix World has got a huge network of more than 150 telecom operators. And these operators work on blazingly fast 3G and 4G networks. That’s basically why every Pix World user will get awesome coverage in more than 193 countries and over 220 cruise ships. Now, that’s definitely a wide network! Now, you may definitely think that owning this sort of expansive coverage will cost a lot. However, if you’re with Pix World, then you’ll experience the awesomeness of this network without paying a king’s ransom. Pix World’s wireless plans are affordably priced—and if you stick to any of these plans, you’ll save 120 percent of your roaming cost. So, now, you know why it makes sense to insert a SIM card from Pix World in your unlocked device if you’re traveling abroad. Well, then, what’s the wait for? Browse all the plans available and pick the one that fits your budget and needs the most. Which is the best SIM card for travel? Now you might argue that why’s Pix World the best SIM card that any international traveler should buy? Well, in this post, we’re going to share the reasons why Pix World is one of the most trusted global SIM solutions available on the market. When you’re traveling abroad, you’ll think about good coverage. But that’s the thing you, as an international traveler, are not given most of the times. Many international SIM solution providers just claim to offer worldwide coverage—but the moment they’ve got to deliver the promised coverage, they fail. But Pix World is different. It’s actually transforming the way global roaming works. Why? Because it offers sensational coverage anytime, anyplace. To be precise, the moment you insert a SIM card from Pix World in your unlocked device, you can get connected in more than 193 countries and over 220 cruise ships. Isn’t that huge? Well, of course, it is. But how’s this sort of coverage even possible? Well, Pix World has a very huge network of 150 global operators. Each of them works on high-speed 3G and 4G networks. This way, Pix World manages to deliver flawless coverage without call drops or undelivered messages. Now, this coverage is excellent alright. But at what price can this be yours, huh? Often, good things come at a very steep price point. Consider Samsung Galaxy Note 9, if you will. Anyway, let’s not digress from the topic at hand. Put simply, Pix World has made affordability its biggest priority. And that’s precisely why this service provider has managed to deliver a number of affordable wireless plans. And if you stick to any of these plans throughout your international stay, you’ll save more than 120 percent on global roaming. Just like a boss. So, what’s the delay? If you’re traveling the world and if you want to stay connected with your world during that time, then Pix World is your best bet. Are you going to the States anytime soon, partner? If so, you’ll need a USA travel SIM card for sure. That’s where Pix World will come into play. See, Pix World’s creed is dead simple—to give every traveler going to the USA awesome coverage at affordable price points. It’s definitely a deal that’s hard to find or replicate. And that’s exactly what has separated Pix World from the rest of the competition. Now, let’s get to know the top two factors that have allowed Pix World to outclass its competition. How Pix World will help you manage international roaming just like a boss traveler? Well, Pix World offers unmatched coverage. This coverage never takes a beating whether you’re in the East Coast or the West Coast. It’s this simple. 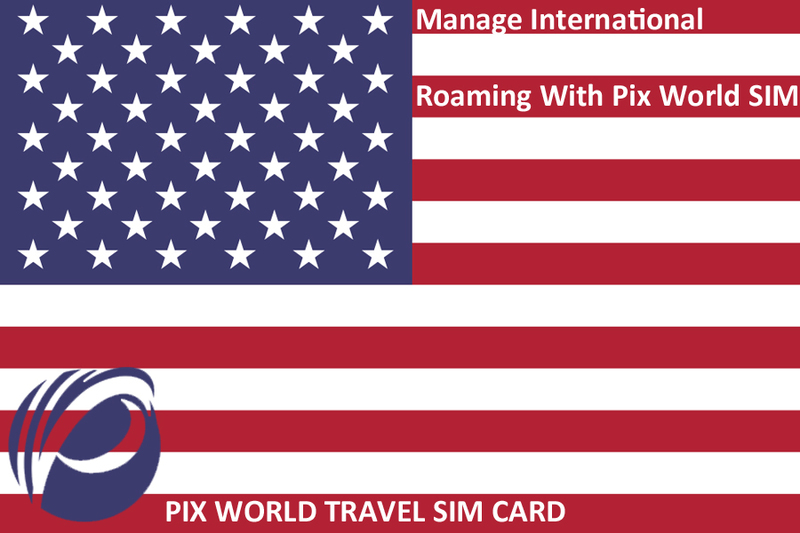 By offering sensational coverage, Pix World has emerged as a reliable USA travel SIM card provider for anyone who’s going to the States. The awesome coverage, which Pix World is offering, is because this wireless service provider has a robust network. This network comprises top-class telecom operators who’re working on high-speed 3G and 4G networks. This way, when you’re connected in the USA through Pix World, you’ll never experience call drops or undelivered messages. Now that you know Pix World is offering sensational coverage. But what’s the price at which you can experience this level of coverage? Well, rest assured that the price of Pix World’s wireless plans is not that high. In fact, if you stick to a specific plan from Pix World, you can easily save more than 120 percent of global roaming charges. So, what’s the wait for? If you’re looking forward to experiencing excellent coverage across the length and breadth of the USA, then you need a wireless plan from Pix World. Browse through all the different plans that Pix World offers and pick the one that suits you the most. When you think about going abroad, you think about international roaming. And when you think about international roaming, you definitely think about universal prepaid cards. But finding a really reliable prepaid SIM card for travel is easier said than done—for sure. And if you’re one of those international travelers who’ve tried many global SIM cards just to end up being disappointed, then you’re reading the right thing. 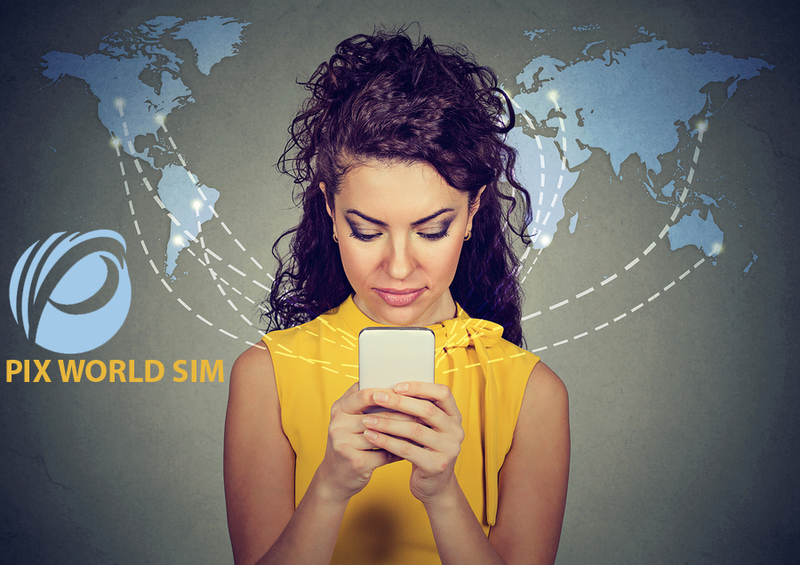 Here, we’ll give the low-down on how an international SIM card becomes the best in business. So, without ado, ladies and gents, let’s get down the real deal. Any international prepaid SIM card gets as good as the coverage it offers. It’s as simple as that. So, always make sure you get a prepaid SIM card that offers best-in-class coverage every time. Consider Pix World for a moment. This is one international prepaid SIM card that’ll deliver exceptional global coverage. To be precise, this global SIM card offers jaw-dropping coverage in more than 193 countries and over 220 cruise ships. Isn’t that sensational, huh? So, long story short, an international SIM card should deliver excellent coverage all the time. Now, what’s the point of delivering excellent coverage if it isn’t affordable to begin with? Well, to be blunt, it’ll be pointless. Well, that’s why every leading international SIM card will make sure that its sensational coverage is experienced by almost every international traveler. Which is why, Pix World makes sure that its wireless plans are super affordable. In fact, if you stick to a single plan offered by Pix World, you’ll easily save more than 120 percent of your roaming cost. Just like a boss. So, what’s the wait? If you want to stay connected even when you’re traveling, then get a SIM card that can give you coverage and that is affordable. Get Pix World. 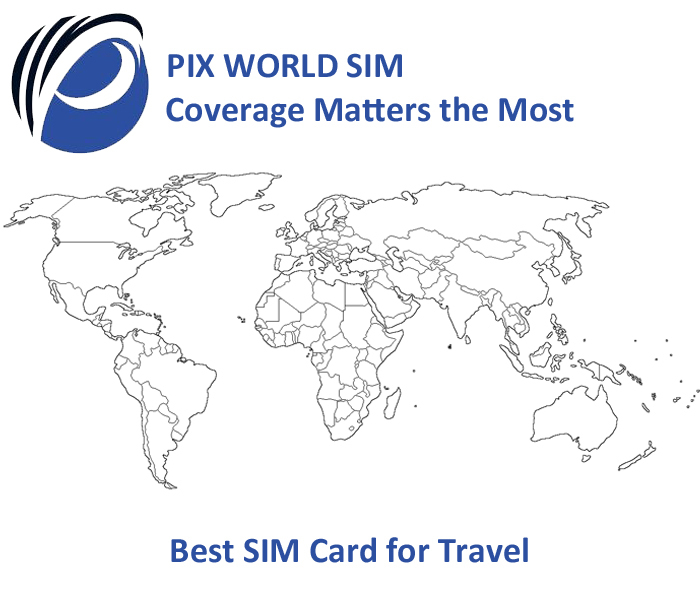 Pix World is one of the most trusted prepaid SIM cards for travel available on the market today. Why? Well, because this prepaid SIM for travel offers one thing—best-in-class coverage at a super-affordable price tag. Every single Pix World SIM card is designed to let you experience world-class coverage every time, no matter where you’re located. So, now, let’s cover the two reasons why Pix World is a good solution for every international traveler. As a leading international prepaid SIM card, Pix World makes sure that you’re connected all the time. With the help of this universal prepaid SIM card, you’ll stay connected on both land and sea. Yes, this SIM card offers coverage in more than 193 countries and over 220 cruise ships. What else? This coverage is possible because of Pix World’s exceptional network. This network includes more than 150 telecom operators. These operators work on high-speed 3G and 4G networks. This way, you’ll never experience patchy coverage if you’ve got Pix World in your corner. Okay, so Pix World is affordable all right. This SIM card offers amazing coverage at rates that won’t ever break the bank. To be precise, if you sign for a plan with Pix World, you’ll save more than 120 percent of international roaming charges. Just like a boss. So, now, what’s the wait for? 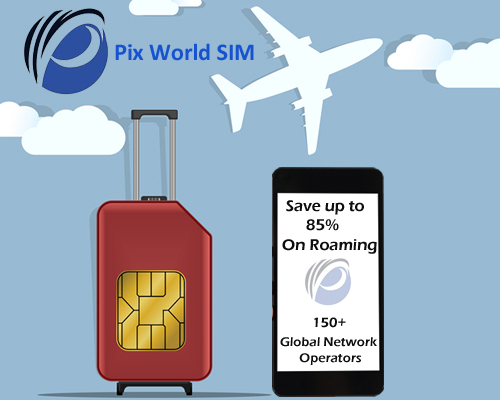 If you’re a frequent international traveler who wants to economize global roaming, then Pix World is an ideal solution for you. However, just as advice, we’ll want you to check out all the plans this global SIM card provider offers. Plus, it’ll be better if you know what kind of plan you’re looking for—data, text, or call. After fully understanding your needs, you’ll be able to know which prepaid plan of Pix World will be the best for you. As an international traveler, you’ll want to not only explore the world but also share that exploration journey in real time with others. Now, when it comes to sharing your memories with your folks in real time, you’ll need data. And, mind you, international roaming is a beast if it isn’t managed well. So, to tame that beast for real, you’ll have to put your money on the best SIM card for travel. And that’s precisely where Pix World comes into play. Pix World is the best SIM card for travel. And we’ve got two factors to prove that. First off, it’s all about coverage. Every leading international SIM card will deliver best-in-class coverage to its users. After all, that’s what it’s meant to do in the first place. 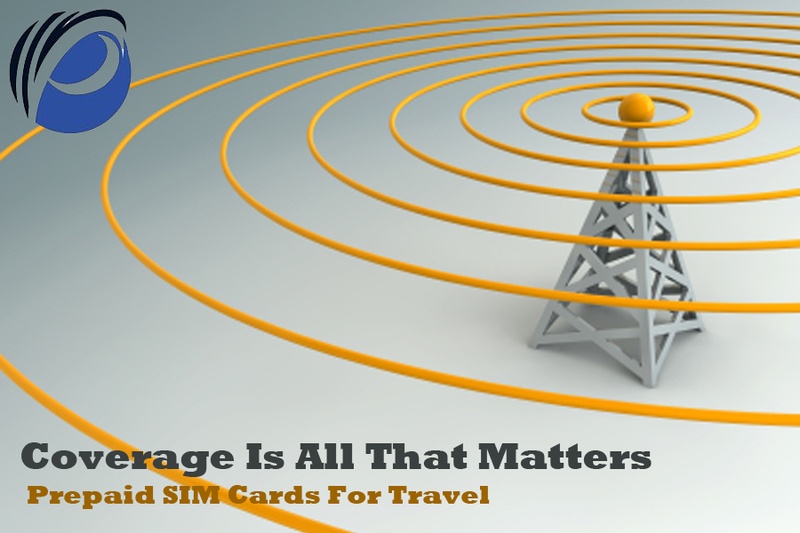 However, a lot of travel SIM cards on the market don’t deliver sensational coverage. Instead, they offer coverage that’s average at best. Pix World, however, is different. This international SIM card delivers coverage that’ll deliver more bang for your bucks. To be precise, if you’ve inserted a SIM card from Pix World inside your unlocked device, you’ll receive top-of-the-line coverage in more than 193 countries and over 220 cruise ships. This sort of coverage is possible because Pix World offers a robust network. What’s so special about this network is the fact that it comprises more than 150 telecom operators. These operators work on blazingly fast 3G and 4G networks. Which is why, when you’ve got Pix World by your side, you won’t experience low-quality network coverage ever. It’s common that good things often come at a price. However, rest assured that Pix World’s wireless plans don’t have a big ask. Instead, they’re pretty affordable. You just have to pick a wireless plan of your choice from Pix World, and then you’re all set to experience unbeatable affordability. If you’re interested in numbers, then here’s the deal—stick to a wireless plan from Pix World and you’ll easily save over 120 percent of the roaming charges. Just like a boss. Now, don’t wait much. If you’re traveling overseas anytime soon, you now know which universal prepaid SIM card you should put your money on. Are you traveling to the USA anytime soon? Well, if you nod in the affirmative, then you need a USA travel SIM card right now. Now, if you plan to haul your native network provider to the USA, then you’re doing a big mistake. Because any homegrown network provider will charge you through the nose if it has to manage your global roaming. So, the deal is simple. You’ll need a travel SIM card that’s especially designed for travelers who’re off to the States. That’s precisely where Pix World comes in. This SIM card is the best in business because it offers a fab mix of affordability and top-class coverage. Let’s find out more on Pix World. Pix World is a global SIM solution. It offers coverage in more than 193 countries and over 220 cruise ships. And among those 193 countries is the land of opportunities—the USA. This international SIM card has what it takes to manage roaming across the length and breadth of the country. In short, if you’ve got Pix World inserted in your unlocked device, you’ll stay connected whether you’re in the East Coast or the West Coast. What’s more? This awesome network coverage is made possible with the help of a robust network. Pix World’s network comprises more than 150 telecom operators. These operators work on high-speed 3G and 4G networks. Because of that reason, Pix World offers top-of-the-line coverage that doesn’t involve call drops or patchy coverage. That’s not all. This wireless freedom can be all yours at rates that are more affordable than the ones you’ll pay if you stick with your native network provider. 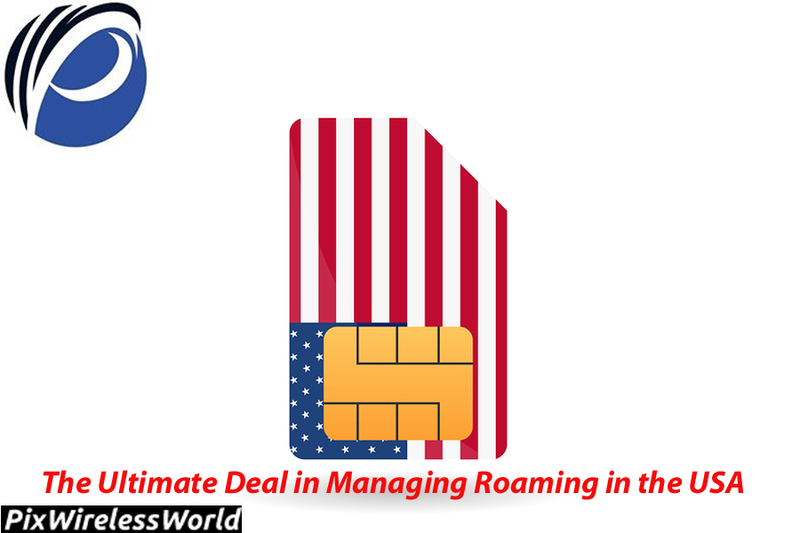 To be accurate, with Pix World’s SIM card, you’ll easily save more than 120 percent on USA roaming. So, what’re you waiting for? If you’re traveling to the States anytime now and need a good SIM card, Pix World is what you need. If you’re a globetrotter, you’ll know the importance of finding a really good international prepaid SIM card. But, as always, finding the best universal prepaid card is easier said than done. Well, because when you want to find a world travel prepaid SIM card, you’ll be spoiled for choice—there are so many options that you’ll likely get confused. So, for helping you make a wise purchasing decision, we’re giving you the name of the ultimate international SIM card—it’s Pix World. Pix World lets you experience the best coverage across the world. To be precise, if your unlocked device is having a prepaid SIM card from Pix World, you’ll stay connected from over 193 countries and more than 220 cruise ships. And that amazingness is made possible because of Pix World’s robust network. This network includes more than 150 operators. And, best of all, each of these operators works on high-speed 3G and 4G networks. That’s how when you’re connected with your world through Pix World, you won’t experience any kind of call drops or undelivered messages or patchy coverage. All you’ll experience is the feeling of staying in touch with your folks even when you’re traveling the world. Now that you know the level of coverage Pix World is offering, let’s get to know a bit about its affordability as well. So, Pix World makes this extensive global coverage all yours at rock-bottom rates. That’s the biggest factor motivating a lot of international travelers to get a SIM card from Pix World. So, if you get a prepaid plan from Pix World and stick to it until your trip gets over, you’ll save more than 120 percent of global roaming charges. Just like a boss. So, now, you know why Pix World is the best bet when you want to get an international prepaid SIM card. 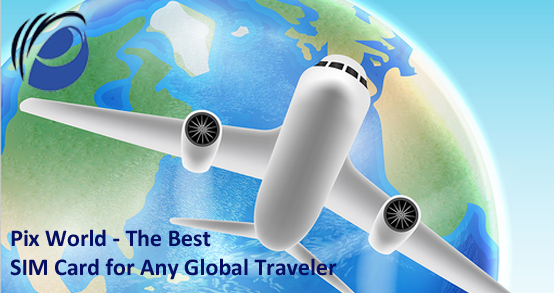 As a traveler, you’ll try to get the best deal in everything including global roaming. And that’s why Pix World is making its wireless plans affordable without compromising connectivity. Long story short, get Pix World’s SIM card right now if you’re planning to travel abroad. But before you buy a prepaid plan from Pix World, just make sure you know what you want. Yes, do a proper need analysis. Then browse through all the plans available with Pix World. That’s how you’ll be able to make a very wise buying decision.